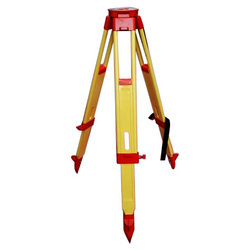 Top quality heavy duty wooden tripod for heavier instruments such as Total Stations. Larger and taller (180cm) with more stability than an aluminum tripod. Standard 5/8 thread. 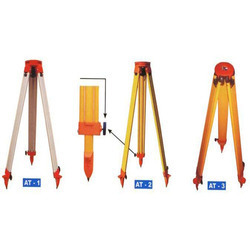 We Offer Mini Prism, Mini Prim Assembly, Prism Poles, Range Poles, Target Plates, Tripods & Staffs For Total Stations. Kit with 190XPROB Tripod and 496RC2. Heavy duty tripod with steel legs provides a stable platform for binoculars, small telescope tubes, spotting scopes. Photron 450 Stedy Tripod.In bulk we offer more discount. We deal in photographic acessory . The need adopts the fluid damping adjustment design of front to back 90/+70 degree, which can provide multi-angle shooting.